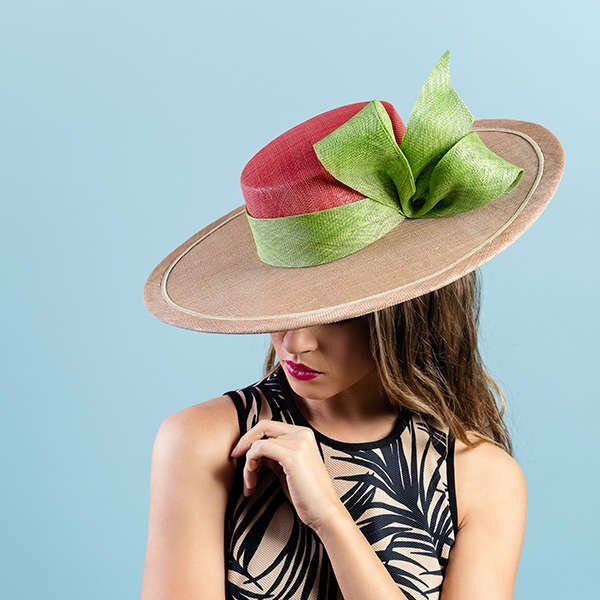 Discover inspirational techniques for sinamay straw under the direction of one of Australia's leading Millinery Educators and Master Milliner, Louise Macdonald. 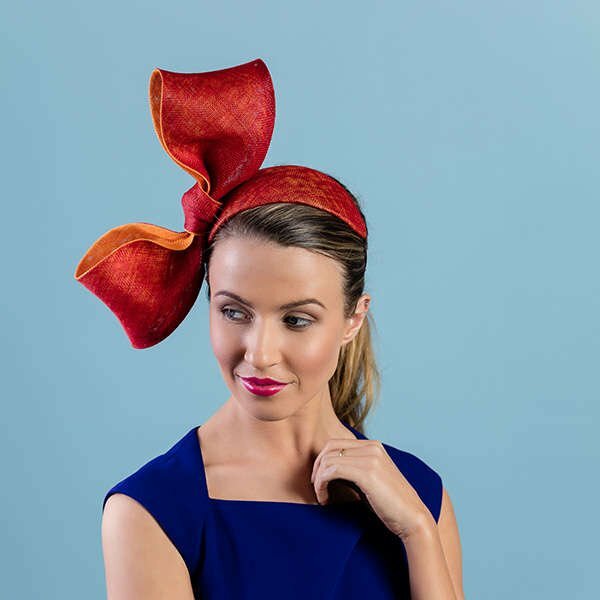 Once you understand how to manipulate this versatile material you will master designing luxurious trims for your headwear. Complement these eye-catching embellishments with a classic Bandeau and a button beret including a silk lining for a quality finish. 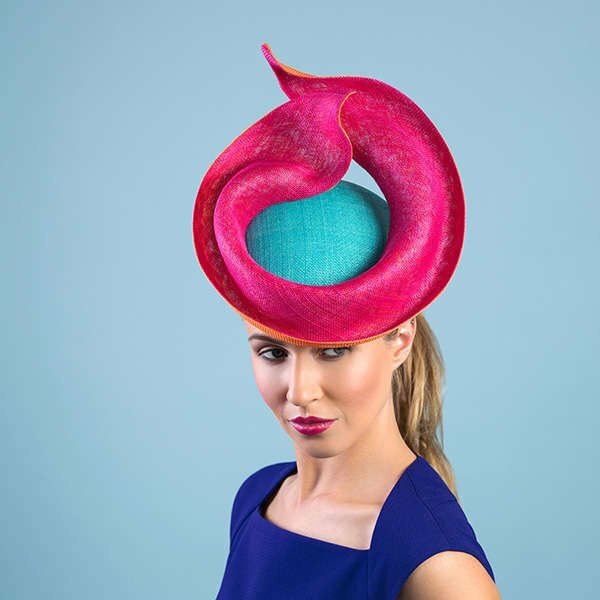 Louise Macdonald has been making hats for well over 25 years and her signature style often features fluid hand sculpted straw trims and shapes creating unique adornments for the head. 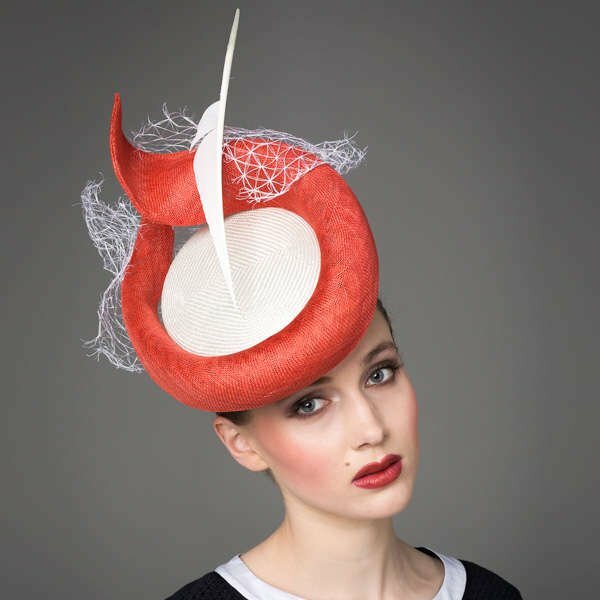 She trained in London, UK as a theatrical milliner making hats for productions such as Pride and Prejudice and House Of Elliot. 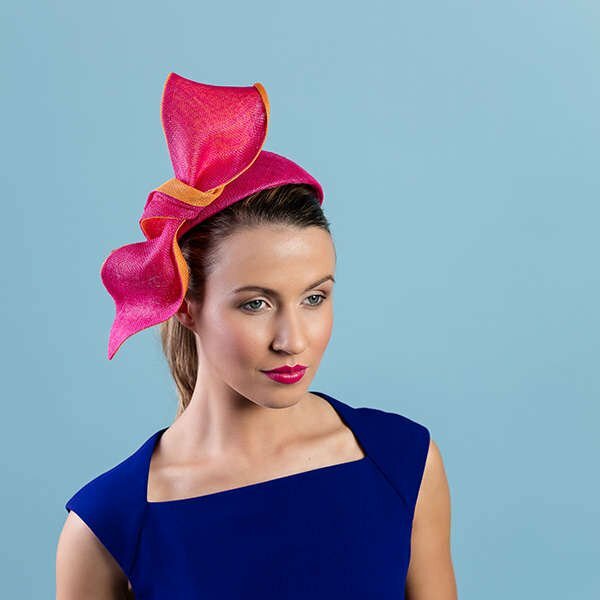 Since returning to Melbourne Australia in 1995 she began making fashion pieces and now her millinery year is dominated by the Melbourne Cup. 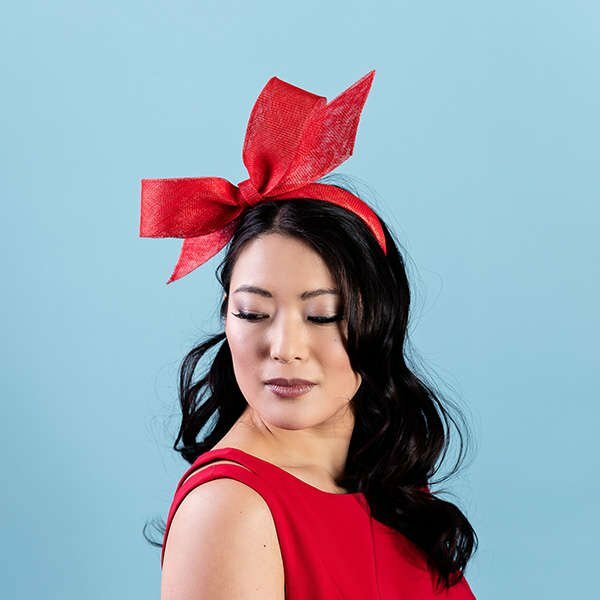 Over the years, Louise has taught at various tertiary colleges, presented at international workshops / conventions and offered millinery courses from her Melbourne studio. 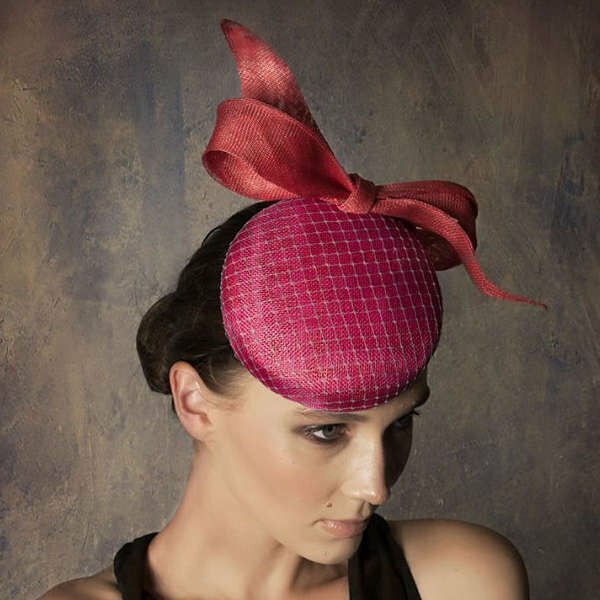 While working as a theatrical milliner in London, Louise Macdonald fell in love with sinamay. With an ongoing passion for this economical material, Louise shares her techniques to manoeuvre the bias weave to create exclusive styling. 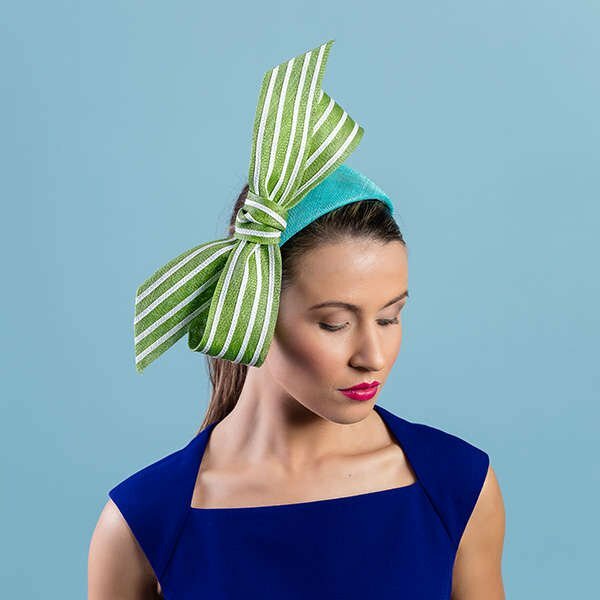 Learn to make a sculpted bow and bandeau based on a dome block. 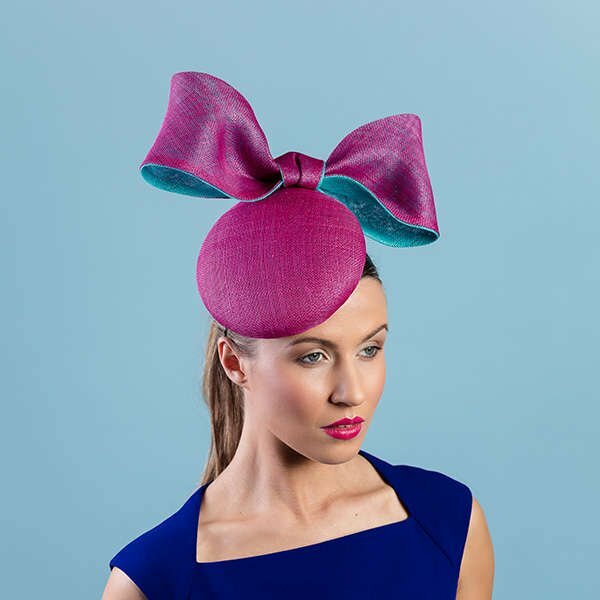 Learn how to transform the sinamay fibres with colour combinations to create a close knit straw for larger signature bows that stay firmly in position. 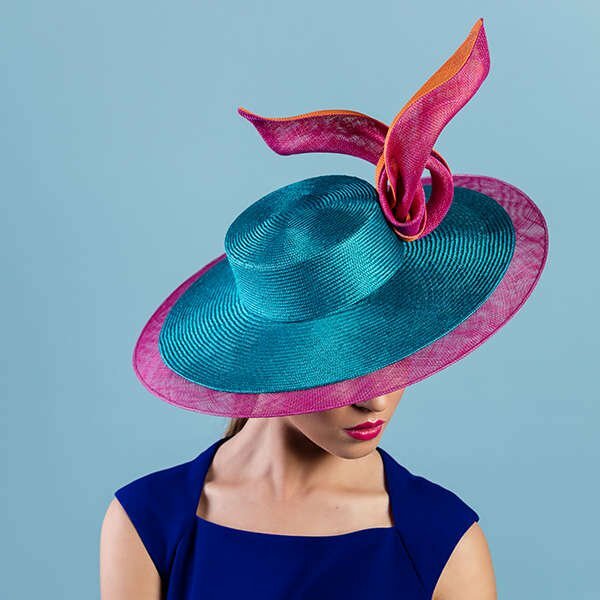 Louise Macdonald shares all her proven methods to enable you to manipulate the straw to suit your styling for your hats or headpieces. 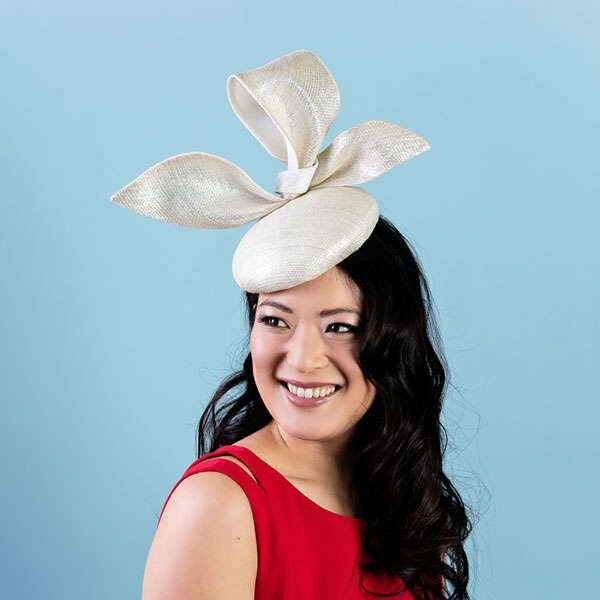 Create a sinamay wrap for your button beret to produce a unique sculpted brim. You will learn how to remodel the straw without the necessity of a brim block by using your fingers and steam to sculpt. Louise Macdonald has included her pattern as a guideline to shaping with the option to add your design ideas. Defy gravity by engineering dynamic embellishments that ascend elegantly with structured stability. 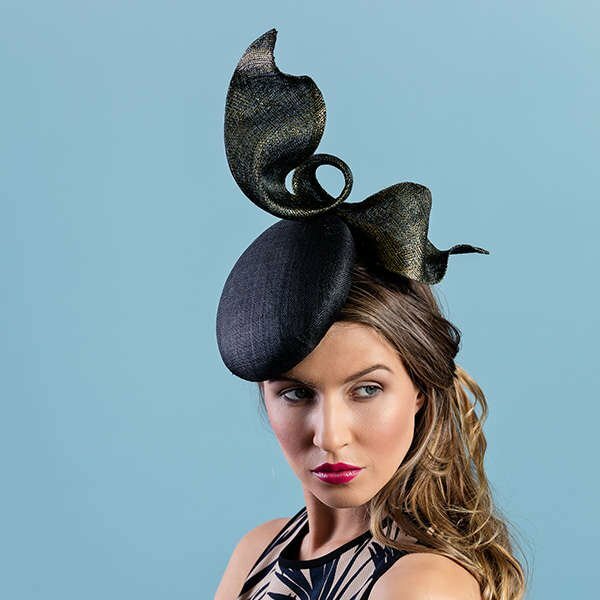 Learn how to use lightweight sinamay to successfully add volume to your hat or headpiece as you follow Louise Macdonald’s creative and detailed instructions. Lesson support includes online contact with tutor Louise Macdonald to ask lesson specific questions and feedback. Hat Blocks - Quality blocks with free shipping.